Some call it the worst of all time, but it has competition. Is this the worst? The above sickness has a 1 in 2.7 billion chance in happening. We know that everyone loves being on the outside of a great bad beat. Hell, we’ve been running the Bad Beat Diaries since Day 1 here at F5. Now, with the viral spreading of Conor Drinan's “million doallar beat” people have wanted to know if it’s one of the worst bad beats of all time (considering the situation and the hand itself). Well, most poker players are going to realize that while it’s very very very bad, it may not be the absolute worst. Over at PokerToday, Steve Ruddock tries to put some perspective on where Conor’s fallen Aces land in the canon of bad beats. So if you like good bad beat, some of which have helped shape poker history, then we’re going to recommend taking a quick look. Quoss and Selbst clash at the 2014 PCA SHR FT.
Watch another 3 minute segment from the PokerStars Bonus Cut series, where they separate out interesting hands and break down the action. In this particular battle, pulled from the 2014 PokerStars PCA, German phenom Fabian Quoss’ steely resolve goes up against Vanessa Selbst's iron will (and panache for making pots as big as possible). And while the action is interesting, what this clip really showcases is Hatigan and Stapes cracking jokes, fast and loose, as a nice reminder that EPT Live is back this month when they celebrate their 100th event at EPT Barcelona. Clumsy moment landed the UK’s Trickett in a US emergency room. Once an invincible tough kid, Everest Poker brand ambassador Sam Trickett now finds himself to be a bit of an injury prone poker player, getting nicked up at every turn. Here in the latest video from WSOP.com, the 2012 Big One Runner-up, talks about how his desire for junk food and mishandling of ranch dressing led to a gruesome foot injury in the middle of the series. Durrrr not back in Macau just yet. We didn’t Photoshop this – Tom Dwan is smiling. Why wouldn’t he? Durrrr in Las Vegas, at Haze Nightclub, hanging with none other than everyone’s underdog, Jean-Robert Bellande right after he helped free his high-stakes friend, Richard Yong (and Yong’s son), from custody. Dwan, who arrived in Las Vegas to play the World Series of Poker Main Event has kept a pretty low profile in the post-Full Tilt-debacle, rise-of-Jungleman poker world. Now, not only is he posing for photos while out on the town, he’s also part of a contingency of high-rolling poker players helping to bail out fellow high-stakes circuit poker player Seng Chen “Richard” Yong and his son. Yong, who plays the televised Super High Rollers whenever he can, was caught in the recent high profile World Cup sportsbetting sting and is out on $1.5M bail, thanks in small part to the young Dwan. 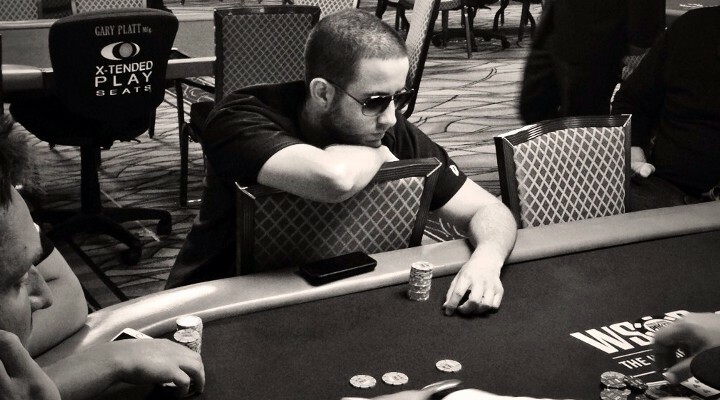 With Phil Ivey and the aforementioned Daniel “Jungleman” Cates posting the bulk of the bail (each putting up $1M total for Yong and his son), Dwan has offered his home as a place for Yong to stay, lending his support to the defendants. Yong and his son were ordered free on bail yesterday. So, what’s next for Dwan? Hang in Las Vegas or back to Macau? Whatever it is, it’s nice to see the one-time most feared player on the planet looking reasonably well-rested and smiling for a change. Extra credit: Read Two Plus Two Forums: Is Tom Dwan Really Broke? Former Tasmanian premier goes to mouth, gets the boot. 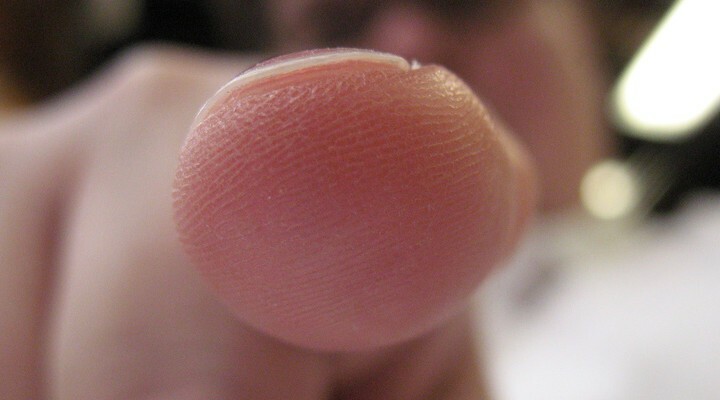 Poker playing premiere gives the Crown Casino the finger. This is a story that only Tiffany Michelle could love. From the land down under, former Tasmanian premiere Paul Lennon says he got the boot from the Crown Casino on Thursday for “licking his fingers” while playing poker and not for berating a woman for touching his chips. According to Australia’s ABC.net, Lennon was playing “$2 poker” (we’re guessing 1/2) and got aggressive when given the heave-ho prompting security to help him make tracks. Lennon disputes the claim that he lost his temper but one witness recalls that 5 or 6 security guards hauled the one-time leader off and even bound his hands with cable ties, presumably to keep him from sticking his fingers in his mouth, while on the way out. Adding insult to embarrassment, when the disgruntled Lennon refused to leave after first asked, unaware that he wasn’t supposed to stick his fingers in his mouth before touching his cards, he was slapped with a $738 fine for good measures. Bonus: Tiffany Michelle eats with her hands at the table. 25-year old named prime suspect in robbery gone wrong. Police have nabbed what they are calling the prime suspect in the murder of Houston area businessman Donald “King of Shirts” Leonetti. According to the Houston Chronicle, 25-year old Eric Norris is in custody and being questioned in the crime that saw two masked gunmen bust into a private high-stakes home game and led to the murder of Leonetti, the wounding of another in attendance and the theft of $20K (originally thought to be $8-9K). Leonetti was a well-known Missouri City businessman who was popular for his likable personality, his T-shirt design company and his enjoyment of the game of poker. Norris is being questioned, as there are other suspects still at large, but murder charges are expected to be filed shortly. World Poker Tour Champion and former Nov9er Chino Rheem has quite the dilemma on his hands while hanging out in Amsterdam. Should he hit the J or snack on some cupcakes? We have a feeling he’ll figure out an optimal strategy for this situation. bq, On the plane w Mr. Back2Back Nov9er himself @mark_hizzle on our way to Belgium. Dan and Danielle go at it again at the UPHQ. Real humiliation is finally dished out in Episode 7. They are back at it. Danielle Andersen and Dan O’ Brien, both reps for Ultimate Poker's Team U, go heads up in a series of office based competitions at the Las Vegas Headquarters of UP. Five “skill games” – Balloon Juggle, Magic Carpet Ride, Card Ninja, Cookie Face and the Rump Shaker – to determine a winner. First place get glory while the loser settles for the bronze. Actually, it’s a deep spray tan five times over and it does not look fun. Dual strategy videos help overcome loose and tight passivity. Swedish pro Josef Rantamaki walks you through some strats. Before you hit the live or online tables this week, take a few minutes to sharpen your game. The minds over at partypoker want to help you crush those annoying loose and tight passive players that always seem to get in your perfectly balanced aggressive game’s way. Check out this pair of videos, around 18 total minutes, to help get some context clues on how to pick up who is playing a weaker style and what you can do to stack them en route to your next bad beat story. Everyone knows that Johnny Chan is a poker legend, a 10-time World Series of Poker bracelet winner and the “villian” in Mike McDermott’s story in “Rounders.” But did you know that when Chan isn’t firing bullets on the felt, he’s firing 3-point shot on the court? Johnny Chan has himself some hoop dreams. ESPN LA’s Dave McMenamin is currently on assignment in Las Vegas where he gets to cover and participate in a USA Men’s Basketball Fantasy Camp during the summer workouts for Team USA. While on assignment he found, as his teammate, none other than “The Orient Express”, Johnny Chan. Poker legend/basketball novice and my teammate out here in Vegas, Johnny Chan. Prices range from either $8500 or $12.5K for the 4 day experience which includes just about all the basketball experience you can handle. We’re not sure just how serious Johnny was taking the Fantasy Camp though as it appears the night before his training camp opened, with a 7:30 breakfast, he was at the Aria getting a few hands in. Here’s a bunch of old guys living the dream. Poker Night In America goes with amateur personality over poker wizard. You may have seen the casting calls for the new made-for-tv cash game Poker Night In America as they made their way back to Maryland’s Live! Casino for taping this month. One person who saw and applied was dominant online and live poker pro Christian “Charder” Harder. Harder is a bit of a reg at Maryland Live! and perhaps thought to be an obvious choice to have sat at the cash game table but apparently that’s not what the producers of PNIA were looking for. In a new blog post at the Washington Post, Charder talks about how he didn’t make the cut in favor of more “amateur” players with big personalities, like the man they call “Dumpster Joe”. Read: You don’t need mad chops to be a poker TV star. You need a dump truck. Looks like things turned out for the best though for everyone involved. While Christian didn’t get to play on the televised cash game he did take down the casinos Summer Series $2200 buy-in for around $84K. Not a bad consolation prize. And PNIA got their wish as well. “Dumpster Joe” went head-to-head with “The Poker Brat” in a confrontation that is likely to get a lot of airtime. Tournament Poker Edge gives you free advice worth reading. 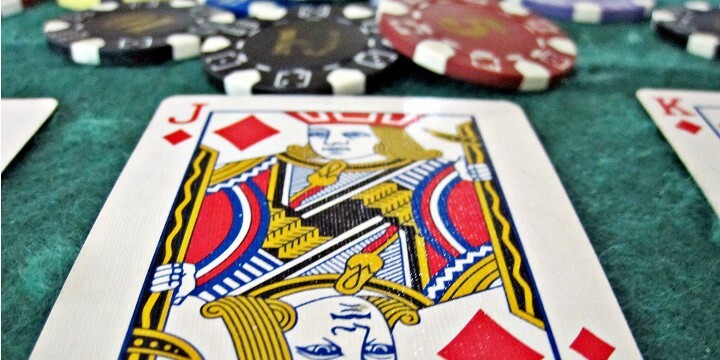 Retake the lead with a bet into the pre-flop aggressor. Donkbet. It’s true, the word “donk”, the word in poker most in need of retirement, is embedded right in concept but that doesn’t mean that it’s a move simply for weak players who are trying to protect their marginally strong hand. No, it’s a useful tool for the skill set of any player and the tournament playing obsessed over at Tournament Poker Edge want to help you read its meaning and be more effective at using it. Put aside the name for a minute and think about how you currently interpret donkbets. Now think about how you could exploit a player who interprets them just as you do? If you’re like 90% of the poker players I know you probably just realized you have a potential major leak in your game; lucky for you most good players don’t employ the donkbet in their game either. Brunson, Bellande, Elezra and Mizrachi all go fishing. With 5+ stacks of high society Todd Brunson finally got into the game at Aria where Jean-Robert Bellande, Robert Mizrachi, John Hennigan, Jeff Lisandro and more were having a blast last night. Todd had been trying for a day or so after having been shut out the night before. As you can see poker’s prodigal son finally got in the game with a buy-in of right around $80K, from what it looks like from this photo. In this high stakes game though, that may be considered a short buy. So, how’d it go for the “young” Brunson? You only have to beat 11 other degenerates. The charming Kara Scott and equally charming Jesse May are joined by Jason Koon and Phil Laak as they bring you the action from the Playground Poker Club and the partypoker Premiere League 7. Episode 3 of the made-for-TV cash game. Haven’t checked out Poker Night In America yet? Sit back and watch former PokerNews hostess Kristy Arnett compete with the pros in episode 3. ESPN aires the instant classic bad beat of Conor Drinan. Is this is sickest way to get bounced from a $1,000,000 buy-in tournament? Watch and decide. Sexton recalls the 2012 One Drop money bubble. partypoker forces all their pros to sit around the table and listen to ambassador’s Mike Sexton's tale of the time he survived the 2012 Big One For One Drop money bubble…uphill, both ways. In the story, Mike rounds way up referring to his $1,109,333 9th place prize as the $1.2M bubble. While Sexton just held on to min-cash, we know that “the legendary” Sam Trickett became one of poker’s only memorable runner up with his career defining $10.1M score. Don’t forget that the 2014 version of the $1M tournament is set to air tonight at 8:00pm on ESPN. Mainstream exposure of the dark side begins this week. Reminder: The first episode of ESPN's coverage of the 2014 World Series of Poker Big One For One Drop airs tonight. Tune in at 8:00-10:00pm ET/PT for the first two of 6 hours worth of million dollar decisions. 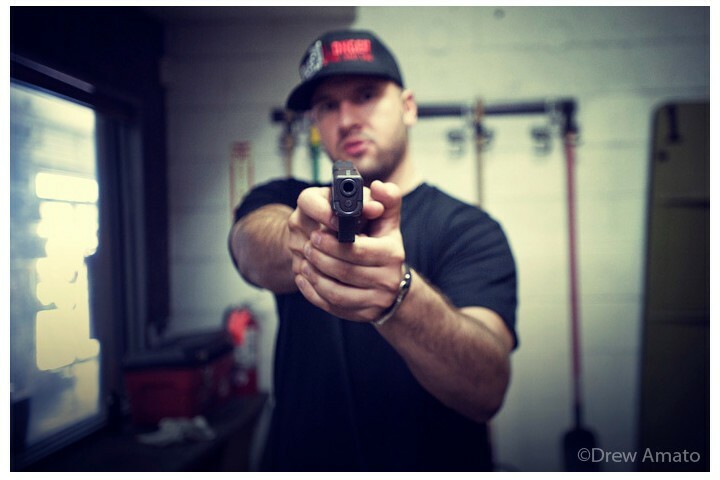 Photographer Drew Amato goes shooting with The Grinder. Ain’t nothin’ sweet 'bout how I hold my gun. Blitz isn’t the only one armed and dangerous. Professional photographer Drew Amato knows how to shoot. Just one look at his online portfolio of poker pics lets you know that he’s got good aim. 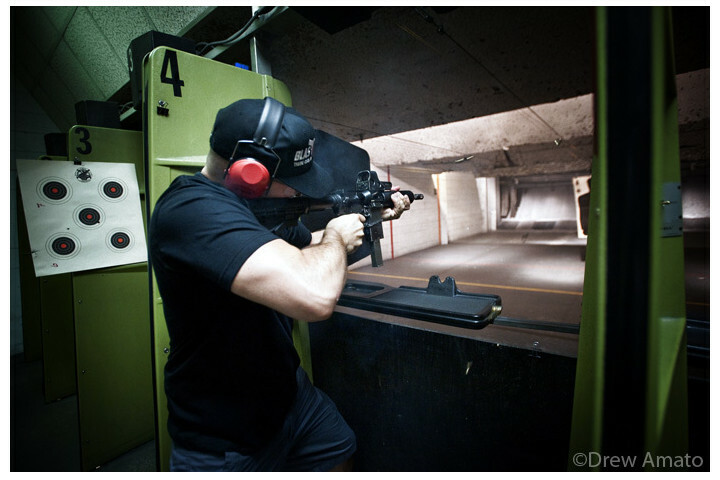 So, when Michael “The Grinder” Mizrachi gave him a call to snap some photos down at a Las Vegas gun range, he jumped at the chance. We thought you’d enjoy seeing some of his work. Grinder blasting off a few rounds from the MP5. The poker revolution starts here. Not a gun fan? No problem. Drew also takes photos of poker players blasting off bullets of a different kind – on the felt. Check out his poker blog and online portfolio for some pretty amazing shots. Like them? Follow him. Armed gunmen spoil the party in more ways than one. 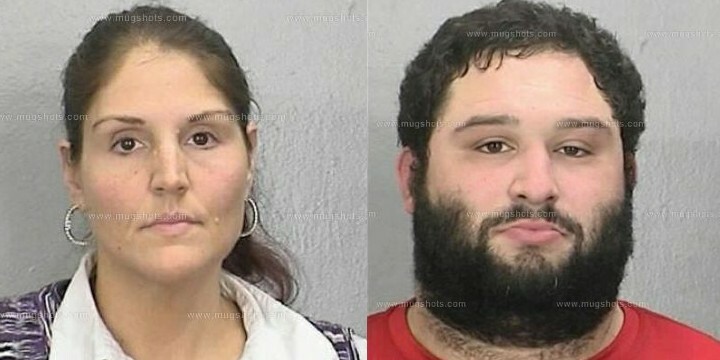 A Virginia couple who were hosting a private poker game that got robbed are now facing felonious charges of “conducting an illegal gambling enterprise or operation,” according to Virginia’s DailyPress. In what seems to be a bizarre use of resources, self-described “poker enthusiasts” Jennifer and Adam Schlain are going to be dragged into court as a pair of gambling masterminds after a poker game they were holding in a commercial building was robbed by a trio of gun-toting, bandana wearing bandits. Jennifer, 35, a lawyer, who was out of the room when the robbery first started, saw it in progress and called the cops. Now, while the armed suspects are still at large, she and her husband are the ones facing criminal charges and the unhappy couple are taking their story to the streets. The robbers made off with $11K, which the Schlain’s claim were not funds being wagered but pocket money of their guests. In fact, according to the couple, they didn’t make any cash off the game at all – it was a private poker party. But the D.A. sees it otherwise. In a search warrant affidavit, Master Police Detective James Huling said police discovered four poker tables, gambling rules on the wall, and hot food available for gamers. Huling also wrote that the Schlains told him they have hosted 12 such sessions after being unhappy with house rules elsewhere. The Schlain’s aren’t happy both with the allegations and their treatment from police but are looking to find a way to resolve this. Schlain said she’s of two minds on how to deal with the allegations. On the one hand, she said, the couple is committed to the community, and wouldn’t mind pleading guilty to a misdemeanor and ending it there. On the other, she said, the couple feels like fighting the charges, because they believe they’ve been “humiliated” simply for “playing poker.” “There’s no justification for what they’ve done,” she said. Aggro online phenom keeps driving the virtual action. More ups than downs finds Blom crushing last week. It’s been an incredible few days for last year’s PokerStars SCOOP main event winner after some serious rungood on the 8-Game, Triple Draw and FL Omaha Hi/Lo tables lead to a $1,078,478 windfall. Viktor “Isildur1” Blom, the 23-year-old Swedish pro started last week with a $25,967 deficit playing 8-Game before a mammoth upswing on Sunday netted him $252,534 in profit. However, the 6-day story that unfolded over on the Triple Draw tables made for an incredible roller coaster of a week. Check out Blom’s chart over at HighStakesDB. After a $251,066 Triple Draw profit on Tuesday, Blom gave $43,051 back on Wednesday before storming back the next day with a $114,312 win; so far so good. Nonetheless, disaster struck just before the weekend when the hyper-aggressive Swede was eventually crushed for $457,776 playing 5 handed versus “Trueteller”, “samrostan” and German regulars “SanIker” and “Kagome Kagome”. 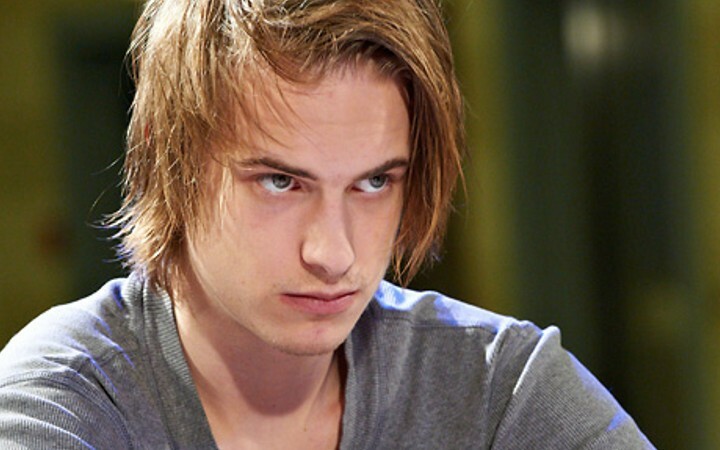 Luckily losses don’t seem to affect Blom as was proved over the weekend after unsurprisingly pulling back $405,906 playing $1k/$2k, $1,5k/$3k and some monstrous $2k/$4k stakes mainly versus Sebastian “taktloss47” Ruthenberg. In between Triple Draw and 8-Games plays Blom had ventured over to the Omaha High/Low tables for 2 sessions of head-banging poker versus “Carlooo13” who handed over $537,104 to the Swede. Blom also took an additional $44,348 from the PLO tables, for good measure, during what has been an incredible 6 days leaving Blom with a 7-figure upswing. Despite the cash grab, Isildur still finds himself in the hole to the tune of $460K in 2014. First rule about 7-figure club? Don’t talk about how pieced out you were. Sam Trickett, the youngest in the Top 5 7-figure club. Ever wonder who has the most 7-figure scores? Well, our pal Barry Carter over at PokerStrategy did and he discovered some not-so-suprising results…those with the largest number of million dollar scores are some of the biggest names in poker. This list which includes top tier bankable names such a Ivey, Trickett, Mizrachi and Negreanu, is a snapshot of people who have spent lengthy careers chasing poker immortality. But with more and more high roller events being held over the past 3 years, and not just on the big poker tours, this list is likely to continue to shift and expand. As younger players like “King Dan”, Scott Seiver and Mike “Timex” McDonald rack up million dollar plus wins the next time Barry recalibrates this list, there’s likely to be a crop of post-online players sitting at the top of the heap. It may take a lot longer for Barry to compile who sits atop the list of most with 6-figures. We’re sure he’s working on it. Looking for those who have the most money? Check out the Hendon Mob's All Time Money Leaders. Hellmuth gets dressed up for Poker Night In America. A get-up that only Scotty Nguyen can get behind. Prop bet or publicity stunt? 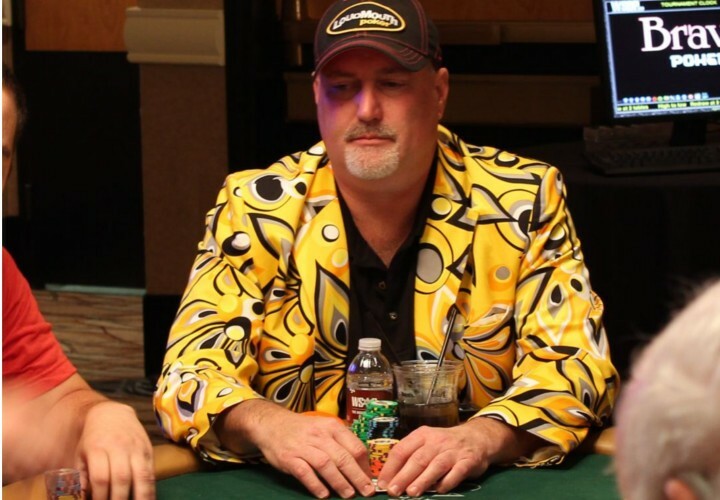 Either way, the long tradition of poker pro Phil Hellmuth getting dressed up at the poker table has taken a new turn. No longer a brat, he’s come dressed as an adult baby. Phil Hellmuth joins the set of the current taping for Poker Night In America at Maryland’s Live! Casino in a ratings-grabbing baby costume complete with a baby bottle and rattle. It turns out that he lost a bit of a prop bet, being the first to bust a recent sit-n-go. So, the Poker Night team went to find Hellmuth a suitable suit to wear at the table. and so, now he’s playing cash as The Poker Baby. Amusing to be sure, even for poker legends. WSOP Champ sums up his feelings on Facebook. Former World Series of Poker Champ, and (maybe?) WSOP.com representative/affiliate/lover Greg Merson took to Facebook to clear up his Twitter tirade from earlier this month where he called out the World Poker Tour for poaching players from the Main Event. First I would like to say that these views represent my thoughts and mine only. I’d like to add that Matt Savage is an incredible TD and we are lucky to have him in the industry. The comments on my twitter were not directed towards him. Basically I think it’s very unlikely I would have fallen into poker without the boom in 2003 (or several of you) which was caused predominately by the main event. The main event blew up poker to another level and keeping the numbers strong for the main event is important for the industry as it continues to struggle without federal legalized online poker in the states. For partypoker/WPT (which segregated player pools in there online games which is another lol issue) to poach the traffic for the biggest event of the year was a little grimy. Lets see how they would feel about WSOP putting a $500 bracelet event the same days and in same city as there WPT championship. It mostly comes down to the fact that the 3 major tours fight for the same players and should be working together and not against each other. How come WPT couldn’t just start this tournament on day 2 of the main? Its silly to think that poker players have unlimited money and someone that comes to play sattys into the main sees a 2 day 500 and plays 3 days for 1500 and thats all he brought well then hes not playing main event sattys and hurting the overall numbers of the field. Yes you could play both, yes this issue could be over maybe 20 players missing main because of the event but thats still 200k extra pirze money. We can’t have tours fighting over the same players. We need them to work together to not schedule stuff on the same dates so that fields are large which helps promote the game. OF COURSE competition is important for any industry to thrive and I liked the idea of the WPT 500. It was a great price point for players that can’t play a 10k to get in there and have a chance at a major title and a nice six figure score. I will continue to play in certain WPT events and plan to play the Borgata in September. I just wanted to clear up some of my comments and explain the reasoning behind my views. editor note: We broke this up for easier reading. On the post it’s a massive paragraph. In addition to his WPT 500 views, Merson cleans up the books a little and gives a monetary trip report of his WSOP. You can check out the full report on Greg Merson’s Official Facebook Page. Go ahead, give him a “like.” We like him. 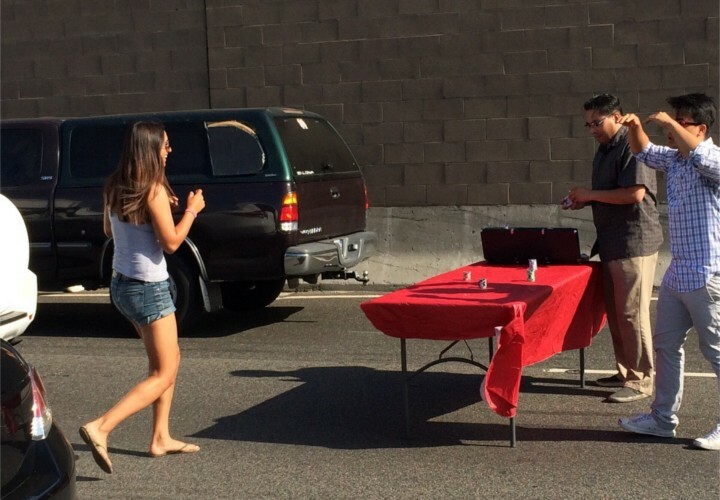 Interstate 5 freeway shutdown prompts impromptu poker game. You still don’t think poker is everywhere? This may change your mind. On Friday, In Los Angeles, where traffic is a way of life, the 5 freeway came to a stand still when, allegedly, a tagger – another LA staple – refused to come down off an overpass. With traffic at a dead stop, for hours, and nothing to do but sit and wait for the situation to be resolved, a couple of guys decided to get a round of cards in…in the middle of the freeway. According to the LA Times, the overpass trespasser didn’t budge from 3:50pm until 7:15pm and until this tagger came down, no one was going anywhere, so in order to pass the time – out came the table and the chip stacks. Originally thought to be a taco stand, and reported as such by mainstream media, people who were on the scene confirmed that it was, indeed, a poker table being set up. 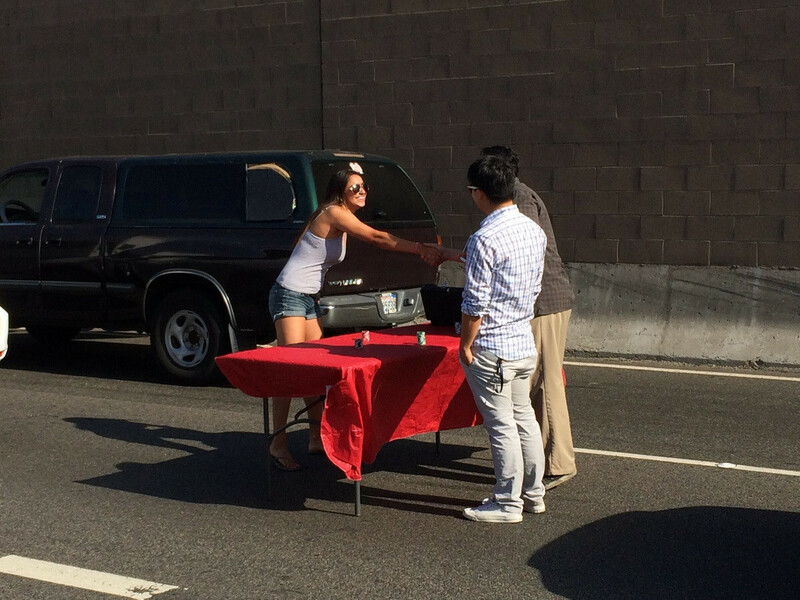 Read: Reddit thread on poker table being set up on Los Angeles freeway. Here’s a shot of the tagger that caused the freeway stoppage. Kid Poker puts some of his money to good use. The dance moves of @dnegspoker! Round 2 tonight! The Kid turned 40 this weekend and there’s photographic evidence to prove it. Daniel Negreanu woke up and partied down at Marquee Las Vegas this weekend – dancing all day, dancing all night and hanging with some of his best poker friends as he turned the big 4-0. 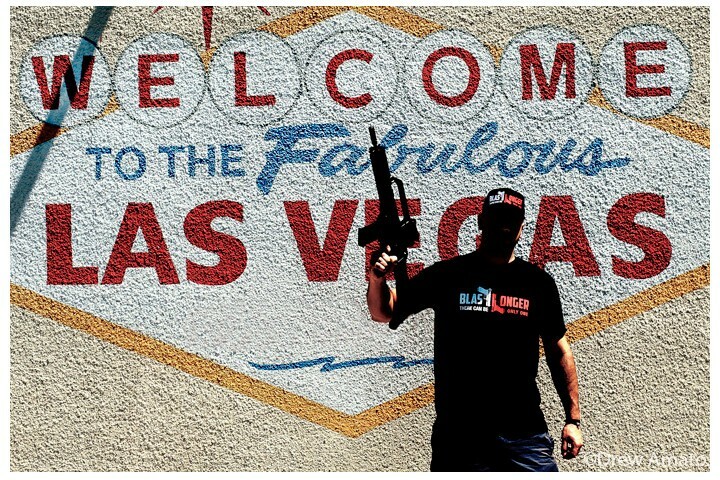 Is that Daniel Negreanu or Daniel Bilzerian? The Day cake arrives, just in time. Daniel keeps Gus Hansen from playing online. The Cake Boss brings Daniel’s midnight snack. Amazing cake for @dnegspoker made by the Cake Boss! Happy Birthday once again to Kid Poker!